Liverpool has always been a second home to The Afternoon Tea Club, so when we heard about the new #TrulyScrumptious campaign from Liverpool ONE, we decided to get involved and write a round up of the top three teas to look out for the next time you're in Merseyside - and with today marking the start of National Afternoon Tea Week, you have the perfect excuse to venture out and eat cake! First up is Afternoon Tea at Browns Brasserie. Browns was actually the first ever 'proper' afternoon tea that we visited as a club and will always have a special place in our hearts. If you look back far enough, you'll probably be able to find the review (with our terrible iPhone 4 pictures) but where the photos failed us, the food didn't and we can definitely recommend it as one to look out for when visiting Liverpool ONE bars and restaurants this summer. 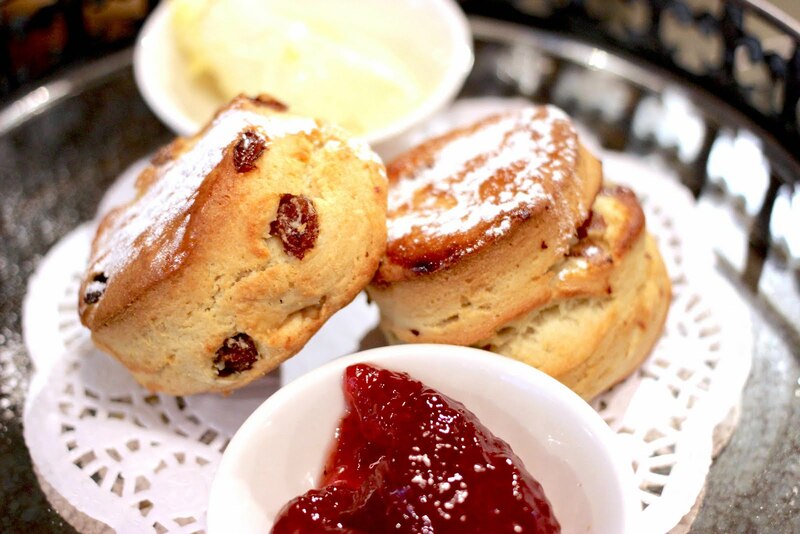 Next on the list is Bills, a homely but hip restaurant, which probably isn't the first place you would look to in search of cream tea but look you should, as Bills offers a great value selection of sweet treats with its 'Teatime' menu. Choose from scones with Bills jam and clotted cream (served warm, and absolutely delicious) to toasted teacakes or sticky toffee pudding and beyond to get your mid-shopping afternoon boost. 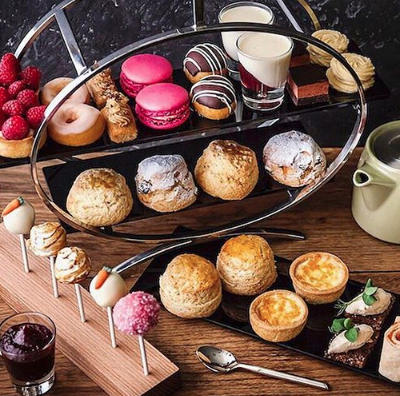 Towering over L1 and just a few short minutes away from the Albert Dock, stands the Hilton, Liverpool City Centre and inside, The Exchange restaurant which offers a modern afternoon tea in a minimalist setting that's popular with guests and daytrippers alike. We first visited years back (in the much missed days where every Monday for us, was an afternoon tea day!) but this tea remains popular due to its central location and traditional yet sophisticated afternoon fare served daily between 1-4pm. Have you paid a visit to L1 for afternoon tea? Be sure to give us your thoughts and recommendations in the comments or over on Twitter @teacupreview using the hashtag #TrulyScrumptious. #AD - This post is in collaboration with Liverpool ONE, but as usual all thoughts and opinions are our own! Glad you sorted your time stamp out. No more apparent sleepless nights.